A few Frequently Asked Questions ? I’ve never run before – ever – is this okay? Yes. Our courses are aimed at complete beginners. You need no running experience and we will help you all the way from day one right through to the end of the course and beyond. What age do I have to be to join the dollies? Our Dollies really are a wide ranging group of ladies. Ages range from 14 – 70. Our joining age is 13 and over. However if you wish to join and are under 16 you will need to run with a parent (female!) or a responsible female adult known to your parents. Do I have to run in the same group each week? If it suits you then please do. If you want to push yourself you can try going up a group. If you’ve had a tough weekend or a few weeks off or even just feel a bit ‘slow’ then just swap down a group for a week. 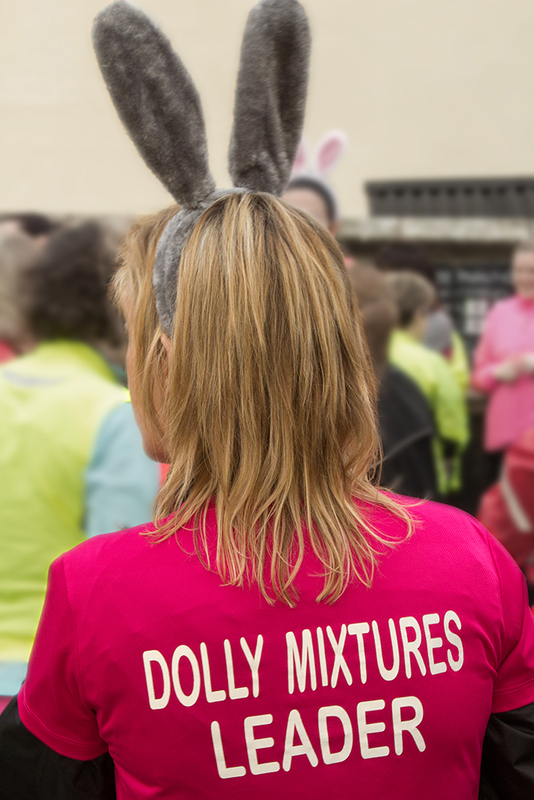 We want you to enjoy it and you can run in whichever group you feel comfortable with on the night. Sometimes!! Running is a physical activity and it will at times be a little difficult but our leaders have done this before and they are super-encouraging and friendly. We like to see our runners having fun and a chat as they go to take their minds off the hard work! If you are finding it particularly difficult on any week just have a quiet word with the leader either before or after a session. Do I need to run at other times as well? In order to progress more quickly it is good to run again in the week if you can, however many ladies have completed the course and the challenge only running on a Monday night. We would advise not to try too hard when you are away from the group though – if you wish to go out on another night try repeating the same as you did with the group on the Monday evening. What speed ability groups will be available each week? Subject to leaders’ availability we will aim to have groups ranging from 9/10 minute miling to 14 minute miling available each week. How much are the weekly sessions? Our sessions vary from £2.00 to £3.00 depending on group.